If you have attended Vacation Care with us previously and are not a current family with us for Before and After School Care, you will NOT be required to register for an account. Please email us as soon as possible for us to activate your log in. To book into our Vacation Care program, you need to go our website using our online booking system called My Family Lounge. Please click Sign-In if you are an existing family. 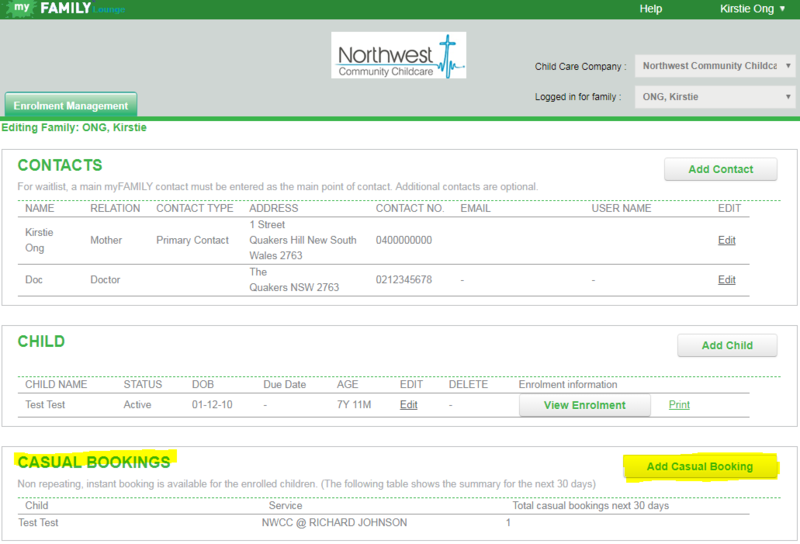 Please note that all Vacation Care bookings will be classed as Casual Care bookings. 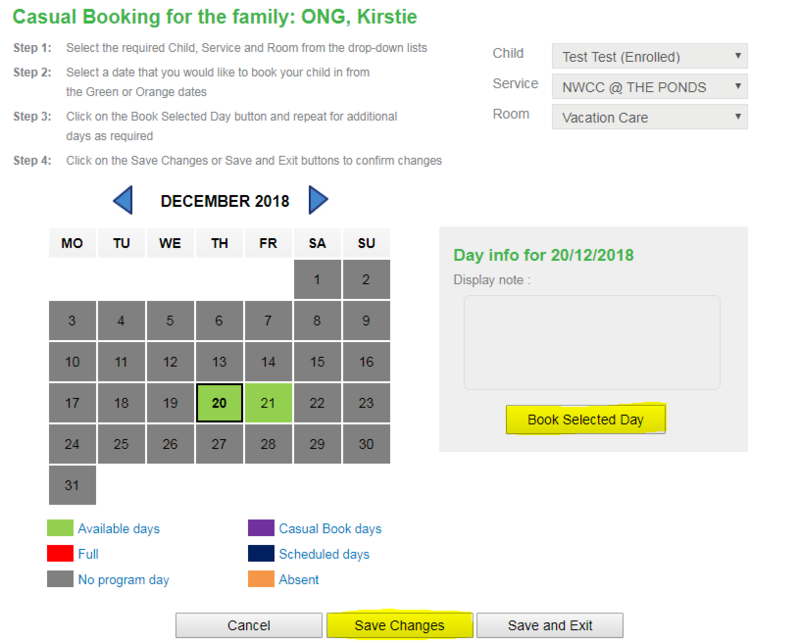 If you have already activated your account with My Family Lounge, and completed your online enrolment form – you will be able to book in your Vacation Care days by viewing the screenshots below and following the steps in My Family Lounge.